At Coresight Research, we’re often asked some variation of “Could Amazon put an end to the off-pricers’ strong run?” The top three US off-price retailers are TJX Companies (which owns T.J. Maxx and Marshalls, among other banners), Ross Stores (operator of Ross Dress for Less and dd’s Discounts) and Burlington Stores, and all three have enjoyed stellar growth in recent years: between 2013 and 2017, revenues grew by 31% at TJX US, by 38% at Ross Stores and by 37% at Burlington. But could Amazon grind their growth to a halt? We have long argued that Amazon has effectively been operating an off-price fashion site. Amazon.com has traditionally focused on third-party brands that offer some big product names mixed in with low-price “unknowns.” Major brands’ offerings on the site have tended to be patchy and include subprime or previous-season stock. In some cases, non-authorized sellers offer “gray market” stock, and branded apparel items on the site are almost always priced below standard retail price. The results of our US consumer survey earlier this year back up our perception that Amazon operates as a de facto off-pricer. Fully 48% of all Amazon apparel shoppers we surveyed told us that they expect to always pay less than full price on the site, and just 11.5% said that they buy apparel on Amazon because its ranges are up to date. Those figures compare with 32% who said that they buy apparel on Amazon because it offers the lowest prices and 49% who said that they buy apparel on the site because it offers good value for price paid. In addition, Euromonitor International estimates that Amazon sold almost $25 billion of clothing and footwear in the US in 2017, versus TJX’s US sales of $27 billion (including nonapparel goods). Those figures indicate that Amazon could already be one of America’s biggest off-price retailers. However, we perceive that Amazon is now backing off from a cut-price, limited offering, rather than encroaching on the off-pricers’ territory. In the past year, Amazon has struck deals with brands such as Nike and Calvin Klein to sell their products on its site; in the case of Calvin Klein, this included some exclusivity, implying that Amazon is moving away from a discount position in fashion. Moreover, Amazon has grown its private-label offering substantially. As our exclusive research in June showed, Amazon’s own-brand apparel offerings span almost 5,000 products across dozens of brands. In total, some 66 of Amazon’s 74 private labels include an apparel offering. These changes to Amazon’s fashion offering further differentiate the company from the off-pricers, which focus on branded products acquired opportunistically from excess inventories. Wall Street analysts appear to be brushing aside any threat from Amazon, as they anticipate further strong performances from the top three off-pricers. 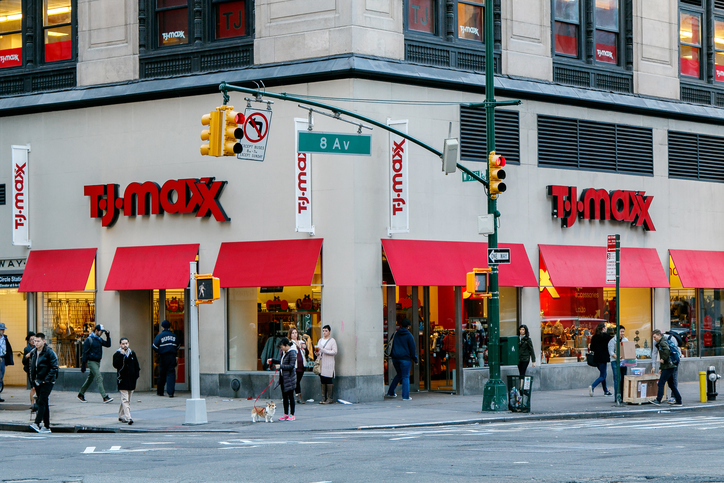 Current consensus expectations among analysts are for TJX to grow total revenues by 26.5% between 2017 and 2021, for Ross Stores to grow total revenues by 26.4% over the period and for Burlington to grow total revenues by 33.9%. Convenience, in the form of service demand for last-minute purchases. Discount, with shoppers swapping the convenience of multichannel propositions for cost savings. Destination, with high-quality stores serving leisure shoppers. So, in our view, off-price retailers are a cornerstone of the discount segment, and we expect shoppers to continue to search them out even as they increasingly turn to sites such as Amazon. Keep an eye out for our forthcoming deep-dive report on off-price retailing. Other pieces you may find interesting include: TJX Companies (TJX) Fiscal 2Q18 Results: Raises Guidance on Solid First Half, Traffic Continues to Drive Comps, Is Europe Ripe For An Off-Price Boom, Amazon: The Sleeping Dragon in Private Label, Amazon Pay Places: Amazon’s Next Conquest Could Be Mobile Payments, Amazon Announces a Record Third Annual Prime Day, Amazon in 20 Charts—the Rise and Rise of the E-Commerce Giant.